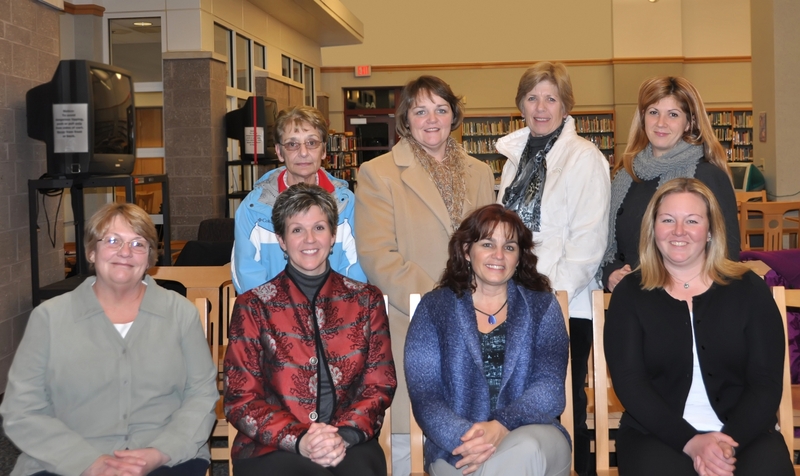 Last night (January 22,2015), the Athol-Royalston School Committee gave recognition to the principals, kindergarten teachers, and kindergarten paraprofessionals who have worked so hard in order to earn the highly coveted and greatly respected NAEYC (National Association of Education for Young Children) accreditation. Dr. Elizabeth Ervin, Director of Educational Services, and Superintendent of Schools Anthony Polito noted that the Athol-Royalston District has been working extremely hard over most of the past two decades to earn this accreditation, which–to be clear–is extraordinarily challenging to achieve. According to the naeyc.org website, “Since 1985, NAEYC has offered a national, voluntary accreditation system to set professional standards for early childhood education programs, and to help families identify high-quality programs . . . In September 2006, the Association revised program standards and criteria to introduce a new level of quality, accountability, and service for parents and children in child care programs. The new standards today reflect the latest research and best practices in early childhood education and development. NAEYC is committed to using the newest studies and analysis on positive child outcomes to ensure young children continue receiving the highest-quality care and education possible . . .
To earn NAEYC Accreditation, the ARRSD elementary schools went through a very comprehensive and demanding process which involved a self-study that measured the program against the ten NAEYC Early Childhood Program Standards and more than 400 related Accreditation Criteria. In addition, NAEYC representatives visited each school to ensure that the program met each of the ten program standards. The Standards are as follows: Relationships, Curriculum, Teaching, Assessment of Child Progress, Health, Teachers, Families, Community Relationships, Physical Environment, and Leadership and Management. Programs are accredited by NAEYC for a five-year period. As noted previously, over 6,500 early-childhood programs (nation-wide) are currently accredited by NAEYC, yet this number represents only about 8% of all early childhood programs in the United States. Consequently, the Athol-Royalston kindergarten programs are in some very distinguished company, as there are many programs across the Commonwealth that have not yet earned this accreditation. School Committee Member Mitchell Grosky, who offered the recognition, expressed how very proud he was of the schools and their staff for earning accreditation. Today, he noted that the accreditation speaks so highly for the schools and the educators–for the quality of the programs offered and the teaching delivered as well as the caring commitment of the staff members and principals of each of these schools. The accreditation of our kindergarten programs spotlight high professional standards, a nurturing environment and atmosphere, a challenging and appropriate curriculum, and classroom teachers who are creative and engaging at the same time as they are extraordinarily caring.” The School Committee stood to applaud the kindergarten staff and principals from each of the Athol-Royalston elementary schools, in appreciation for their accomplishment. Note: Information for this article was obtained from the NAEYC website. This entry was posted in ACES K, Hold, jwillhite, Kurt Anderson, maillet, Mrs. Goldthwaite, Mrs. Webb. Bookmark the permalink.